A powerful Pacific storm will continue to hammer the West Coast into Friday with strong winds, heavy rain and heavy mountain snow, followed by a weekend of sunshine, the National Weather Service reported Wednesday afternoon. Heavy rain will bring a threat of flash flooding along recent burn scars in the Woolsey Fire and Camp Fire areas, while blizzard conditions are expected in the Sierra Nevada Mountains. 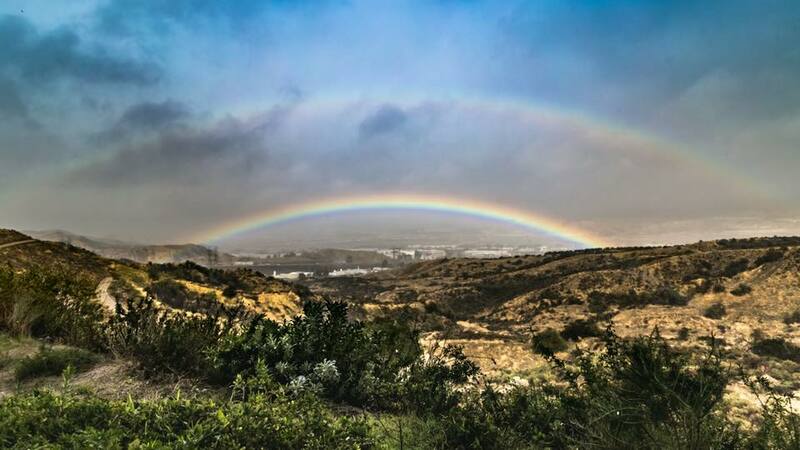 In the Santa Clarita Valley, the service calls for a 90 percent chance of rain Wednesday night, increasing to 100 percent on Thursday and diminishing to 40 percent by Thursday night. SCV rainfall is expected to be between 1.5 inches and 2 inches. Friday is expected to be mostly sunny, with sunny, mostly clear weather on Saturday and Sunday. Thursday’s high temperature will be 60 degrees Fahrenheit, dipping to 45 degrees overnight. Friday’s high will be 63 degrees, with highs of 68 and 69 expected Saturday and Sunday and overnight lows in the mid-40s. Meanwhile, Santa Clarita Valley Sheriff’s Station officials are urging drivers to slow down when highways are wet, and offering tips to avoid hydroplaning. When a vehicle is traveling too fast in wet or flooded conditions, the tires of the vehicle cannot displace the water fast enough, and the vehicle is actually driving on top of the water, getting no traction whatsoever. This causes the vehicle to drift or skid uncontrollably. Try to avoid curb lines as this is where water usually accumulates the most. If you do experience hydroplaning, take your foot off the accelerator and steer in the direction of the skid until your car has slowed enough to regain traction. Do not slam on the brakes, as this may cause your vehicle to skid even worse and give you little to no control. If you are driving in inclement weather requiring your windshield wipers to be activated, you are also required to have your headlights on, per California Vehicle Code, 24400(b). This is to make you more visible to other drivers. Please remember at the end of your drive, to turn off your headlights, so you don’t return to your car with a dead battery. When driving, stay alert to any road hazards. Stormy weather can cause power lines to fall. This can create hazards – electrifying puddles, wet grass, and the surrounding area. Don’t touch anyone or anything in contact with a downed power line. Always assume downed power lines are energized and dangerous. Stay away and call 911. The city of Santa Clarita offers more “Ready for Rain” tips, emergency contact numbers, notifications and updates at readyforrain.santa-clarita.com. The Sheriff’s Department uses Alert LA to contact you if there is an emergency or disaster in your community. The system sends shelter-in-place instructions, evacuation, and other emergency messages. Sign up at www.lacounty.gov/emergency/alert-la/Alert. the service calls for a 90 percent chance of rain Wednesday night, increasing to 10 percent on Thursday and diminishing to 40 percent by Thursday night. I don’t think we can “increase” from 90% to 10%…..but with “new math”, who knows.